Prepare your ears for a slice of ear cake, because the pop rock quartet who praises the simple joys of noshing on a baked dessert while posted up on a sandy beach (or something like that) has released a fresh tune: On Friday, DNCE dropped “Body Moves,” the first single off of their upcoming debut full-length album. As Rolling Stone points out, the band has been performing the track at live shows, and now we can finally tuck into the studio version of "Body Moves” and really hear all of the lyrics. Now, as you might've gleaned from the title, the track is about two humans getting busy. And your touch has got me haunted. Wow. That is one chilling lyric, no? ....Is this song actually about hooking up with a ghost? Or someone who is possessed by a contagious ghost? Was this song inspired by It Follows? When Joe Jonas sings "Waiting for the girl next door to get real dangerous," does he mean the ghost who haunts the house next door? Do ghosts enjoy cake by the ocean, too? Should I keep taking DNCE’s lyrics literally? What is a metaphor? What is a euphemism? What is a song? What is a lyric? What is anything? 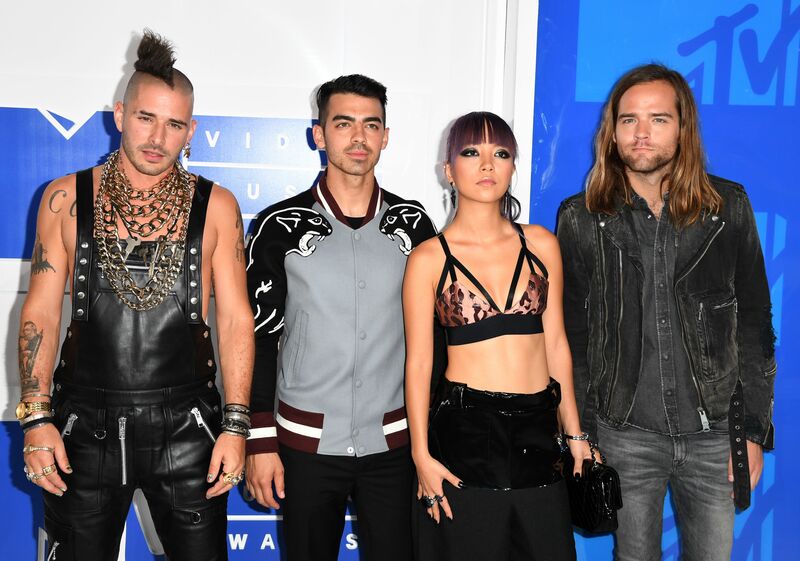 DNCE's self-titled album will hit the shelves on Nov. 18, so move your body over to your calendar and mark it accordingly.